Vodafone has come up with one more treat for Zoozoo lovers. Vodafone is offering free Winamp Zoozoo skin. You can use the interface to connect to the Zoozoo channel on Youtube, and the Zoozoo fanpage on facebook. Step 1: You must have the Winamp player installed to try the Zoozoo skin. To download the player, click here or proceed directly to ´Step 2´. Step 2: Download the Zoozoo Winamp skin, unzip the downloaded file and run the file called ´Vodafone Zoozoo.wal´. The file will install itself automatically. To set it as your chosen Winamp theme, just start your Winamp player, go to ´Options´ and click on ´Skins´ to choose the Zoozoo skin. 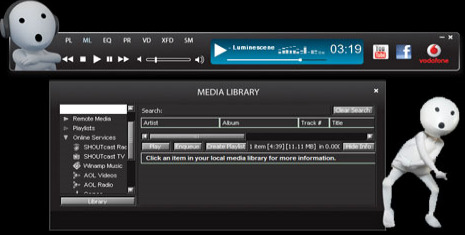 To download Zoozoo winamp skin click here.